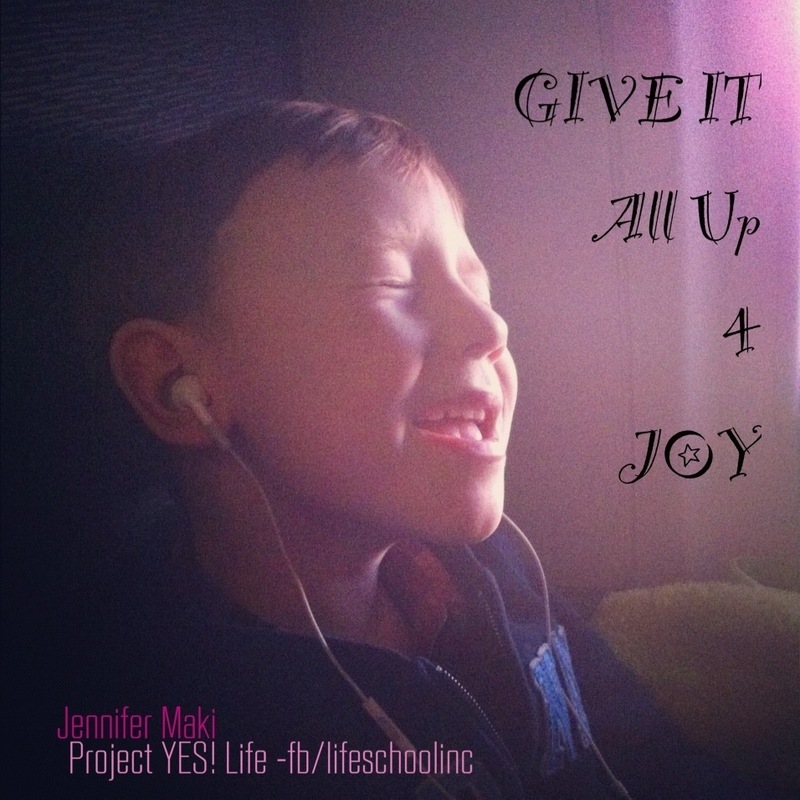 Givin’ It All Up 4 Joy | LifeSchool Inc. I snapped this picture of the precious soul who walks with us as son, Nathaniel, as he bubbled over with melodic bliss. This place is a place of pure and limitless JOY. This is a place every human being longs to rest, rejuvenate, resonate, reside in. Do we fully understand that IT IS OURS already? JOY is not something delivered but determined from within. It comes not from what we receive, but ARE. What I find remarkable about Nathaniel and many, many little ones around the world, is that they may stray from JOY for a fleeting second (when they don’t get what they want or are befuddled by their own emotions), but just as quick as they left, they come home. Let us make today a day, this life a life, of coming home… Of manifesting, creating and spilling over with the JOY that is alive and present in our days. 10 Things that Bring You Joy. 1 Thing You’ll Do Today, to bring You, and inevitably the world about you, Home! Wishing you a gazzilion moments of Givin’ Er ALL Up 4 JOY! This entry was posted in Building Blocks 4 Long-Term WoW, Life As Art ... Revealing, Soulful Curriculum for Leaders and tagged adventure, creativity, happiness, homeschool, homeschooling, Inspiration, joy, LifeSchool, love, motivation, parenting, truth. Bookmark the permalink. Music transcends all we know and Nathaniel always surprises me with his appreciation. Last week he told me that Philip Philips sounded like Dave Mathews (and he is absolutely right).